A sample of green algae collected from the Gulf of Mexico. 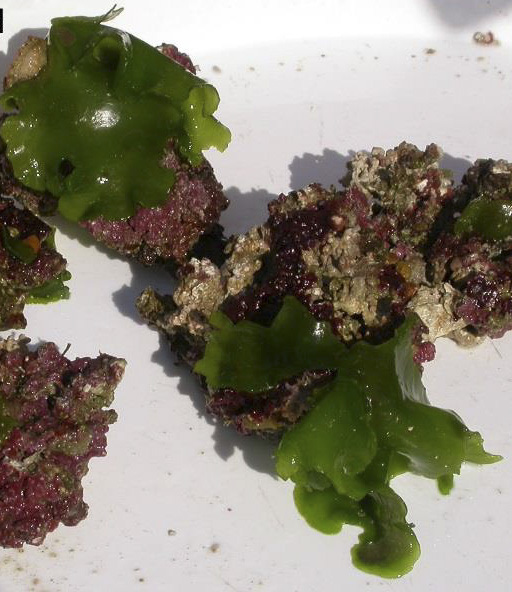 From the September 2016 Desktop News | The discovery of a deep-water seaweed that evolved into a multicellular plant more than 540 million years ago has added a new branch to the tree of life, according to a biologist at The University of Alabama. Dr. Juan Lopez-Bautista, professor of biological sciences at UA, co-wrote a study of algae collected from the Gulf of Mexico that revealed a significantly different cellular structure than first believed. The finding, published in Scientific Reports, details the order, known as Palmophyllales, examined by Lopez-Bautista and post-doctoral researchers at UA and how it diverged to create its own lineage. Lopez-Bautista was principal investigator in a large National Science Foundation project designed to discover and describe types of green algae. Lopez-Bautista’s lab, Phycolab, in Mary Harmon Bryant Hall, received $600,000 of the $2.76 million NSF grant to determine where algae fit in the evolutionary chain. The funding was used to hire post-doctoral researchers and map the genomes of the algae collected from the Gulf. Additional samples and phylogenetic software allowed for more comparisons to other algae and plants and helped researchers pinpoint when Palmophyllales branched off from related plant species. Lopez-Bautista spotted the bright, green algae while taking an oceanographic cruise a few years ago. He said there were existing studies of an ancient group of algae but no clear answer to where it belonged in the tree of life. “I knew we had the technologies at our lab at The University of Alabama to answer that question,” he said. “And the techniques and software used to map chloroplast genomes advanced over the last few years, cutting down the time for analysis from weeks to days. The discovery has posed many new questions about why the algae diversified nearly 540 million years ago. Lopez-Bautista said there are many findings to compare and habitats to explore and that he’ll continue to pursue funding for biodiversity research.